From time to time here on Dice Hate Me, I see or play a game that has a story that intrigues me. This time around it’s Portal Games’ upcoming release Imperial Settlers, designed by Ignacy Trzewiczek. Imperial Settlers is an empire game that reimplements ideas and concepts first introduced in another of Ignacy’s titles, 51st State. I loved the game so much when I played that I just had to get to the bottom of things. Luckily, Ignacy was all too happy to answer a few questions. DHM: Very briefly, in your own words, what is Imperial Settlers all about? 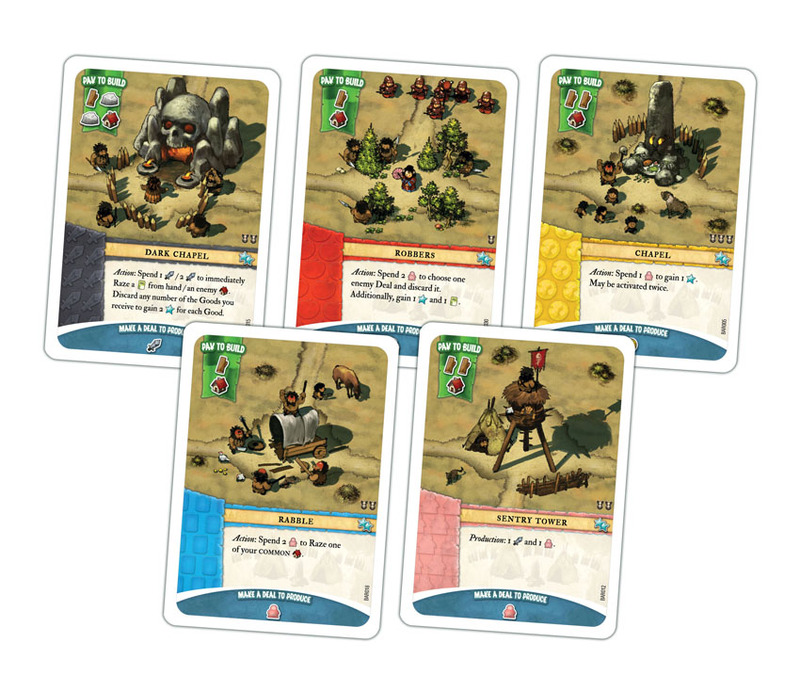 Imperial Settlers is closely related to the game 51st State. I have played Imperial Settlers and greatly enjoyed it, but could you explain any differences between the two games? They have a wildly different art style, naturally, but what – if anything – has changed between 51st State and its reimplementation as Imperial Settlers? The main difference is a concept of Faction deck. In 51st State all players use one common deck of cards. 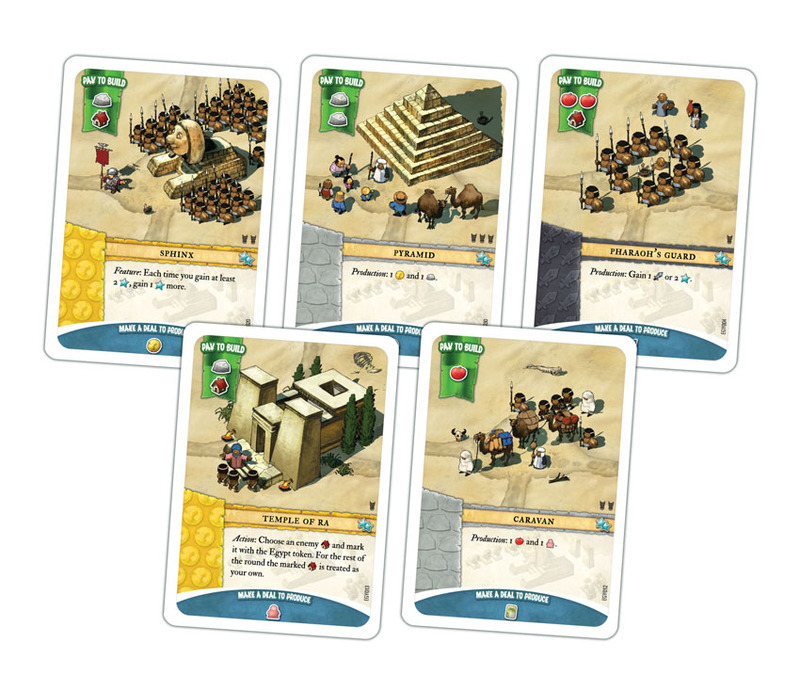 In Imperial settlers each faction has its own dedicated deck. It lets players develop their kingdoms in totally different directions – one faction is all about war, other is all about new buildings… It changes the game a lot and you see how your Kingdoms grow and change. 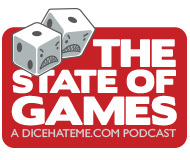 51st State was fairly well-received, and highly rated game. What inspired you to create Imperial Settlers? And why go from a fairly gritty post-apocalyptic theme to a more generic historic civilizations theme? 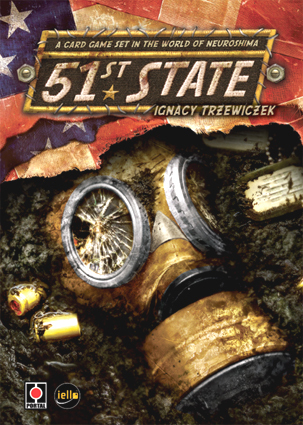 With 51st State we had this problem – the game got very good reviews and high ratings, but it was nearly impossible to explain. Gamers who learned the game, liked it, but in the same time, there were so many people who didn’t make it. Who tried to play and gave up. I decided to take 51st State core system and try to build much more simple game. Easy to grasp, quick to play. It took me few months of testing and making experiments with this rule set. I was removing limits, removing difficult iconology, removing most difficult cards and at the same moment I was very closely look if the game still is interesting, still has it’s core. After these months of work, I think I have it. I managed to built new game from the 51st State concept – faster, much easier and still quite fun. One of the most interesting and fulfilling mechanics in Imperial Settlers is how players can use the cards in their hands in different ways to build their empires. What was the inspiration for that particular feature? In 51st State with each card, whatever it is Oil station or Grocery store or Caravan – you can peaceful talk and have deal or you can raid them, take stuff and escape. This is very cool choice, both in terms of theme and rules. You get resources till end of game, or once, but many? You choose. The art style on Imperial Settlers is very bright, lively and whimsical. Can you tell us more about the art team you put together? Who is the lead artist for the cards and player boards? 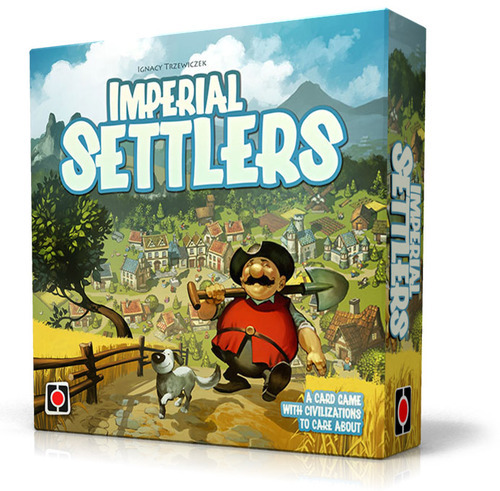 Advanced reviews of Imperial Settlers have been very positive – and, having played it, I would agree. One of the only criticisms I have heard discussed is that the base game only contains four factions, and many would have liked to see about twice as many. Are there other factions in development for future expansions? Are there any of which you can provide a sneak peek? You will be at GenCon with a Portal Games booth, with copies of Imperial Settlers for sale. You also have a pre-order available for the game, with GenCon pick-up. What is the distribution plan for the game after GenCon? Will it have a wide North American release, or is grabbing a copy at GenCon everyone’s best bet? Yes, we will have first copies of Imperial Settlers for Gen Con. Pre-orders are open, so everybody can simply reserve their copy and be sure he or she has copy at the very day of premiere. We also sent games to our distributor ACD Distribution and we hope that game will be available in US game stores in two or three weeks after Gen con. Any other games you currently have in development that you’re excited about? We work on expansions for Neuroshima Hex, Theseus and Legacy, I work on expansion for Imperial settlers. We also work on science fiction game that we will publish next year. It will feature four alien races and small planet that is an arena of their struggle! I also have a party game in work and one huge two player game and one kids game… Sir, I am busy person. And I love it! Again, thanks for your time, and I look forward to seeing you at GenCon! I am looking forward to meet you and all your readers at Gen Con. Please, visit our booth and say Hello. I am having a long trip to meet you guys! 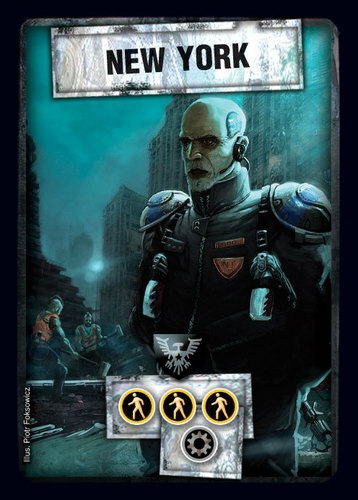 All art copyright and courtesy Portal Games. Unpublished Magic – A Guest Interview with John Moller of Cartrunk Ent.